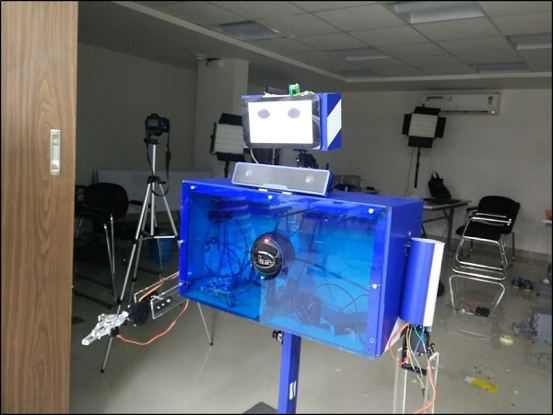 The purpose of MITCSY was to serve as a low-cost, enhanced and viable alternative to existing telepresence robots for the Indian market. MITCSY prototype was designed to be a telepresence robot, it offered additional functionalities that allowed one to use it as a general office assistant and administrator. 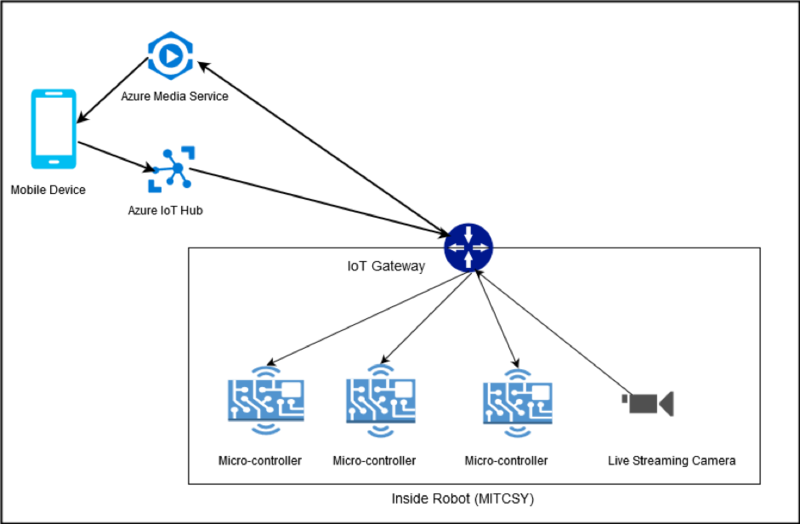 MITCSY can also be used to automate the cognitive task performed by a Cloud Engineer on daily basis, like launching new virtual machine, creating network on cloud and launching and managing different PaaS service. As most of the cognitive task can be performed by MITSCY using simple voice commands it can save lot of valuable time of Cloud Engineers. MITCSY was primarily built atop open source technologies, which helps keeping the cost low. Used Cloud Robotics concept so that all the complex and resource hungry task like AI and Machine Learning can be performed on Azure Cloud. 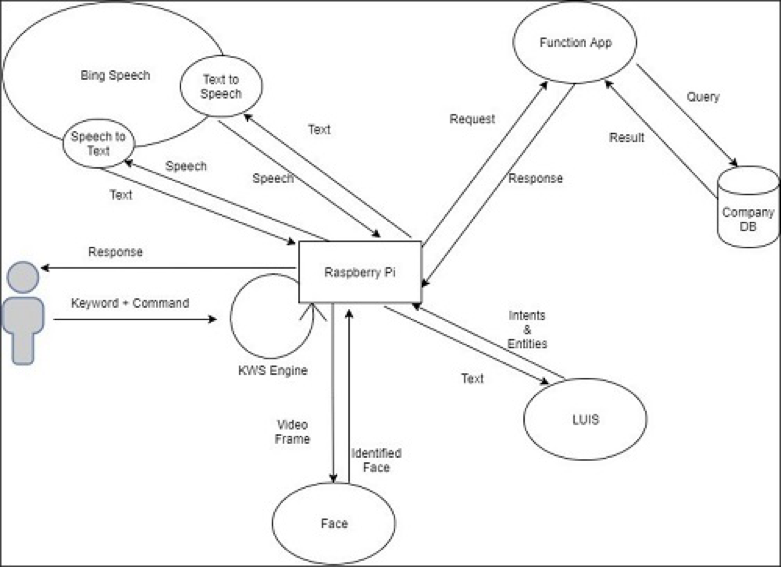 Function App was primarily used to service requests that were too resource intensive for the Raspberry Pi or required additional resources. Azure IoT hub was used to send commands to the robot from anywhere on the planet, which give the capability to control the Robot when you are on move. Azure Media Service give the capability of media Streaming in real time. Which is a must having for a telepresence robot. For the hardware part, we tried using as much as open source hardware. Which makes the product cost effective, easy to reproduce and create a new product out of those hardware. Raspberry Pi – Raspberry Pi which is a SBC (Single Board Computer) was used to do all the edge computing and Gateway related stuff before it sends the data to cloud for further processing and analysis. Raspberry Pi Camera Module – Used dedicated Raspberry Pi camera to capture the images and video for the authorization and object detection purpose. Servo Motors – Servo motors were used to move the parts of the robot i.e. hands, heads and arms. The development of MITCSY was challenging experience as it is one of a kind. In the development phase, we learned a lot of things in field of IoT and Cloud Robotics. In the next version of the MITCSY which is version 2.0 we are planning to add even more services and make MITCSY as a full-fledged product.